With the Panama Papers, Nawaz Sharif’s legitimacy on matters of national security will continue to decline. 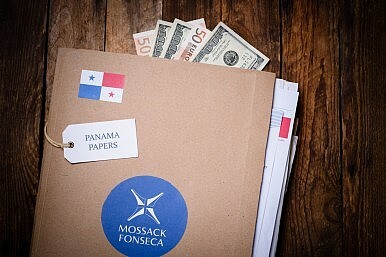 The scale of tax avoidance and money laundering revealed in the Panama Paper leaks run into the several hundreds of billions of dollars and contains the details and names of hundreds of powerful and influential people from across the world. The impact of these revelations is already visible: mass protests in Iceland have forced the country’s prime minister into resignation after disclosures about his offshore dealings became public through these leaks. According to these leaks, Prime Minister Nawaz Sharif’s close family has made millions of dollars of investments in a number of offshore companies. Just hours after these revelations, Sharif addressed the nation and promised appropriate review while denying that any of his family members were involved in any kind of corruption. Even after coming to power with a heavy mandate, Sharif has not been able to rule successfully. The Pakistan Tehreek-e-Isnaaf party’s four-month long protests in Islamabad in 2014, which ended only after the military’s intervention as a mediator, took away any semblance of civilian supremacy over the army. A few weeks ago, the former military chief, Pervez Musharraf, who was put on an historic trial for treason by Sharif, silently left the country. For the prime minister, the timing of these allegations could not have been worse. The PTI again has promised to launch another wave of protests against the federal government if it fails to form an independent commission to prosecute the allegations made in Panama leaks. Meanwhile, the army has unilaterally launched a military operation in Punjab without even asking for consent from the provincial government, which is run by the prime minister’s younger brother, Shahbaz Sharif. The prime minister has proved to be an ordinary politician: one who has has neither courage nor the political will to provide leadership to the country. “Nawaz Sharif has frittered away his opportunities. He has proved to be a hopelessly incompetent leader, neither strong enough to initiate badly needed reforms nor sophisticated enough to deal with the country’s well-oiled military machine,” said Ahmad Rashid. For the most part, Sharif’s third tenure as prime minister has been marred by allegations of mass corruption. Moreover, Sharif has been soft on extremists. Consequently, the leadership space left by the prime minister has been filled by the chief of army staff, General Raheel Sharif, who has been tough on extremism. While the military chief ordered the execution of Mumtaz Qadri, who in 2011 murdered Punjab Governor Salmaan Taseer, the federal government a week ago could not clear the capital of a handful of Islamist protesters celebrating Qadri. Instead, the government gave in to many of their demands related to Pakistan’s controversial blasphemy laws. One of the demands which the government agreed to was the execution of Asia Bibi, whose case is pending in the courts in a blasphemy-related offense. These revelations, regardless of their merit, will further limit the prime minister’s say in matters related to national security and foreign policy. For the remaining two years of his tenure, Nawaz Sharif is likely to serve as a ceremonial head of government, with actual power residing in the hands of the military and opposition parties. Can the House of Sharif Survive in Pakistan? Can Nawaz Sharif overcome a number of impending challenges that his political party faces?